Have you ever wondered what it’s like to breathe underwater. If you want to find out but aren’t quite ready to take the plunge into a full dive certification course, our PADI Discover Scuba Diving Program will let you try scuba to see if you like the experience before committing to a full Open Water Course. 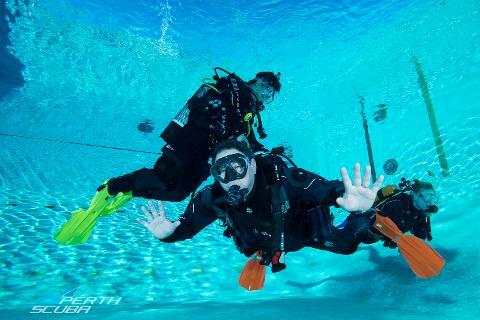 Perth Scuba offer the Discover Scuba program in a range of options, choose from trying scuba diving in a swimming pool, Perth ocean shore dive or even at Rottnest Island! During the Discover Scuba Diving experience you’ll learn how to use scuba equipment in shallow water and get a quick and easy introduction to what it takes to explore the underwater world. After your Discover Scuba experience you can book onto our next PADI Open Water Diver Course and get your full PADI certification in as little as 3 days! There is nothing like breathing underwater for the very first time. It takes a little getting used to – after all, human beings weren’t designed to do that – but after a few minutes of awestruck wonder, you realise how easy scuba diving really is and what fun you can experience. 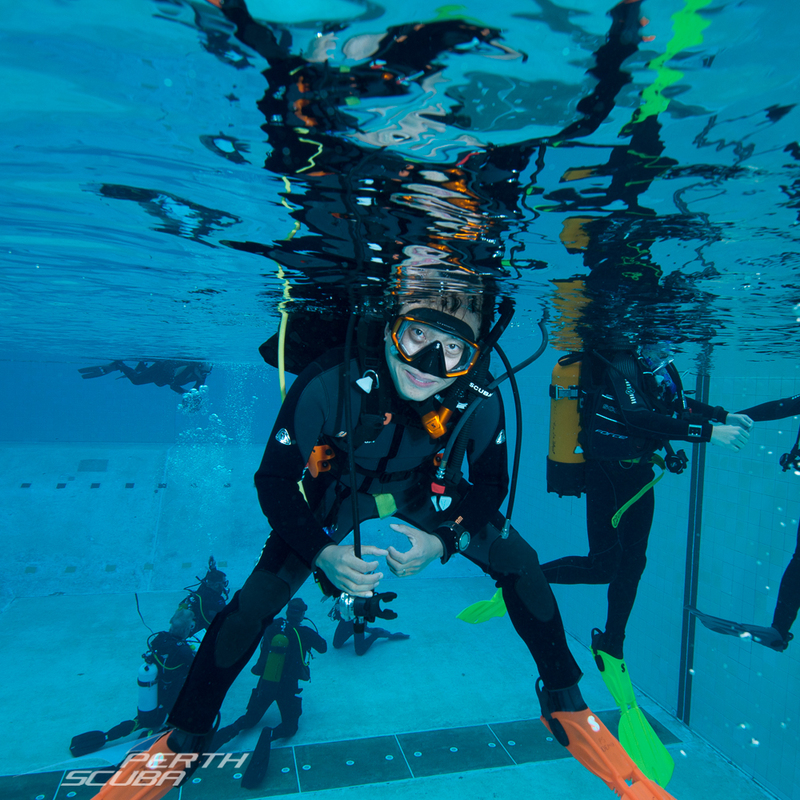 The biggest challenge Perth Scuba have with the Discover Scuba Diving program is not coaxing participants into the water, but coaxing them out when the program is over. The fun part? It’s all fun! If your Discover Scuba Diving program includes an actual scuba dive in open water, your experience may count toward PADI Scuba Diver or Open Water Diver certification, putting you a step ahead of the game when you decide to go for it. You learn the basics you need to dive under the supervision of our friendly and experienced PADI Professional Instructors. One thing you’ll learn is that you really can breathe underwater and whether you like doing that or not, and whether you want to experience more. 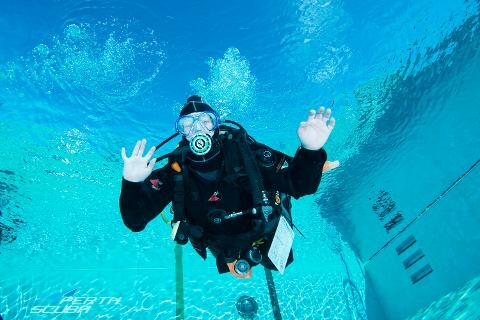 All the equipment you will need is included in a Perth Scuba Discover Scuba Diving experience. You’ll use all the basic scuba gear including a mask, snorkel and fins, a buoyancy compensating jacket that also carries your scuba tank, wetsuit, a weight belt, a scuba regulator to breathe from and dive computer to monitor depth and air supply. Just your willingness, undivided attention and of course a SMILE! 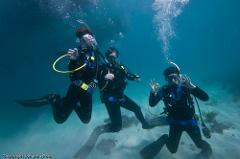 To take a Discover Scuba Diving, you must be a minimum of 14 years old, be able to swim and medically fit to dive.